MF running coach Sean Williams offers his tips on staying motivated. Go for something completely different, such as a trail race, mountain-running event, ultra-marathon, track race or beach run. Many runners have only ever raced on the road and haven’t tapped into their adventurous side and raced with nature. You can’t beat eyeballs-out efforts charging down a mountainside, ducking and weaving on a technical single-track in a rainforest – or barrelling along the hard sand by the water’s edge on a beach with a howling southerly at your back. Learn new training techniques from experts at a training camp, usually held in a beautiful environment away from the city, with plenty of fresh air. It’s a tremendous way to live, train and socialise with other runners and will help take your fitness and speed to another level. Try deep-water running, swimming, kayaking or stand-up paddleboarding. It will help to prevent injuries from overtraining and is a smart way to increase fitness with what are usually non-weight-bearing methods. Sharing a workout with a buddy improves your tolerance of pain and boosts feel-good endorphins that can keep you going for longer. 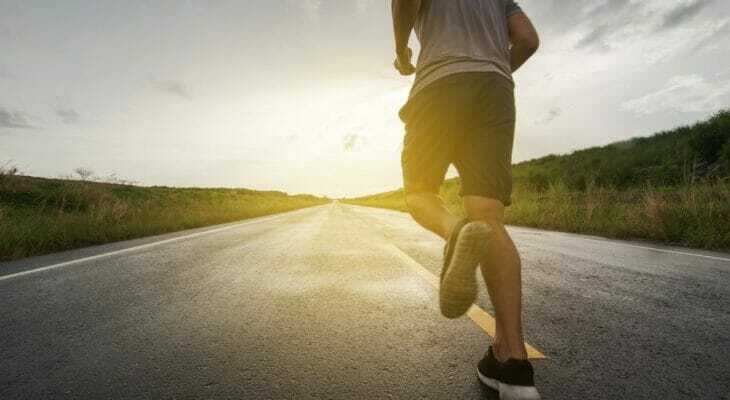 Music is running’s “legal high”, according to a Brunei University study, which found that runners who listened to their favourite tunes while out training, reduced their perception of effort by 10 percent.